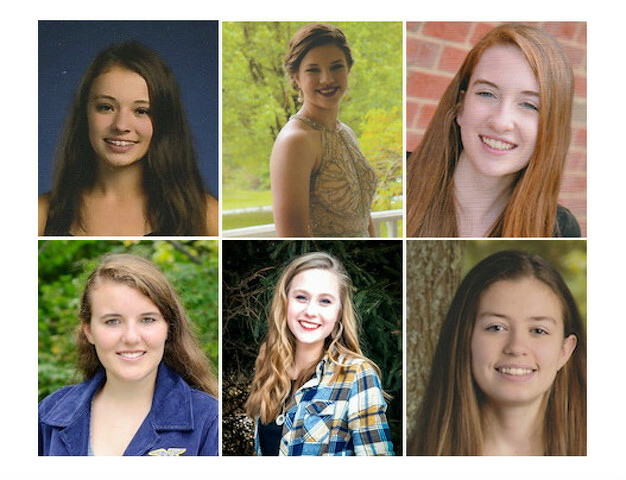 CENTRE HALL — The 15th Annual Centre County Grange Fair Queen Coronation will be held at 6 p.m. Wednesday, Aug. 15, at the Centre County Grange Fairgrounds’ South Side Stage. ■ Destiny Vonada, 16, daughter of Charlene and Greg Vonada, of Spring Mills. Vonada attends Penns Valley Area High School and enjoys swimming, cheerleading, twirling and running. She plans on attending college and majoring in the medical field. ■ Kaleigh Cunningham, 17, daughter of Dan and Nicole Cunningham, of Julian. Cunningham attends Bald Eagle Area High School and Central Pennsylvania Institute of Science and Technology. She enjoys basketball, running and reading, and plans on attending Lycoming College and the State Police Academy. ■ Amelia Miller, 17, daughter of Randy and Lisa Miller, of Howard. Miller attends Bellefonte Area High School. She is involved in 4-H, violin, orchestra club and drama club. She plans on attending college and majoring in foreign affairs or international relations. ■ Kelly Beck, 20, daughter of Leroy and Deb Beck, of Port Matilda. A graduate of State College Area High School, Beck is attending Penn State University, majoring in community environment development. She plans to pursue her master’s and doctorate in either energy environment economics or rural sociology and demography. She enjoys reading, knitting and traveling. ■ Morgan Bair, 16, daughter of Jason and Christine Bair, of Centre Hall. Bair attends Centre County Christian Academy, and her hobbies include piano, singing and soccer. She plans on attending school to become a physical therapist. ■ Lily Woodring, 17, daughter of Tammy and Dave Woodring, of Spring Mills. Woodring attends Penns Valley Area High School, where she is vice-president of the FFA Club, football manager and is involved in softball club. She plans on attending Penn State University and majoring in horticulture. The new queen will preside over the fair, which runs Aug. 17-25. A second defendant has entered a guilty plea in the Beta Theta Pi fraternity hazing case. 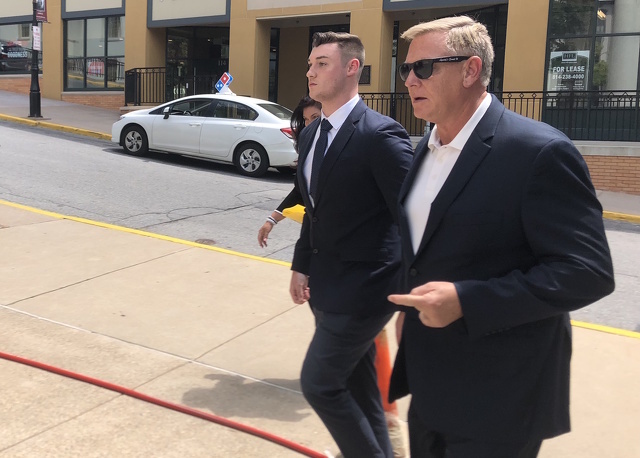 Joseph G. Ems, 22, of Philadelphia, pleaded guilty on Wednesday to one count of hazing and one count of unlawful acts relative to liquor. Centre County Judge Brian Marshall scheduled sentencing for Sept. 27.